This is a photograph of the Havana stage station near Burlingame, Kansas. 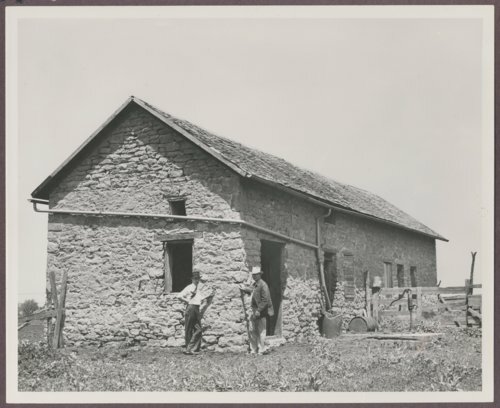 Built in 1858, it was a mail stop on the Santa Fe Trail offering meals and lodging until 1869. The people in the photograph are Harold Stodard (left), publisher of the Burlingame Enterprise-Chronicle and Gene Spaulding (right), a rancher and stockman.